Phoenix Technical Publications has created a number of MSDSs and Product Inserts, including translations, for Cepheid, a leading molecular diagnostics company dedicated to improving healthcare by developing, manufacturing, and marketing accurate yet easy-to-use molecular systems and tests. An image of the Cepheid Xpert FII & FII Assay MSDS is below. 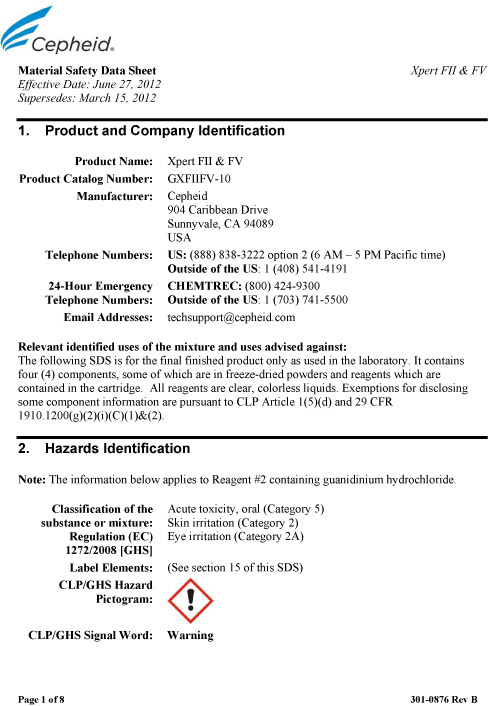 Follow the link here to the full MSDS. A complete list of Cepheid MSDSs is available here.